We wish you a Happy New Year 2018 and are happy to inform you about news at our language centre – enjoy reading our September 2017 newsletter! 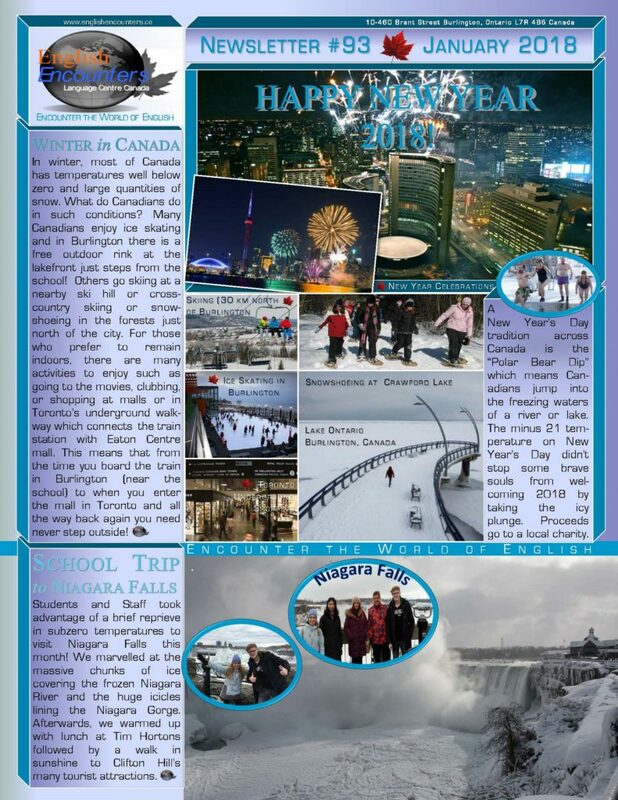 Inside our newsletter you will find information about special events (including a school trip to Niagara Falls) that took place in our schools home city of Burlington, Ontario. Take time to read through our other posts to find out more about our great city and about studying English with us.